March 26, 2018 by Jonathan R.
One of the most interesting parts of that event, Inception, allows small focused startups to pitch their ideas in a Shark Tank-like atmosphere to compete for a significant cash prize. Two of the more compelling solutions were presented by companies run by women this year. However, the big news was a company that was well along the way to creating an electronic human/machine interface that has huge implications for prosthetics in the near term, and the singularity in the long term. I think what people will see at Inception, which will hold its final event at the end of March, is a view of the world folks thought would be possible by 2030 or beyond. Instead, it is beginning to look more like a picture of 2022-2025. 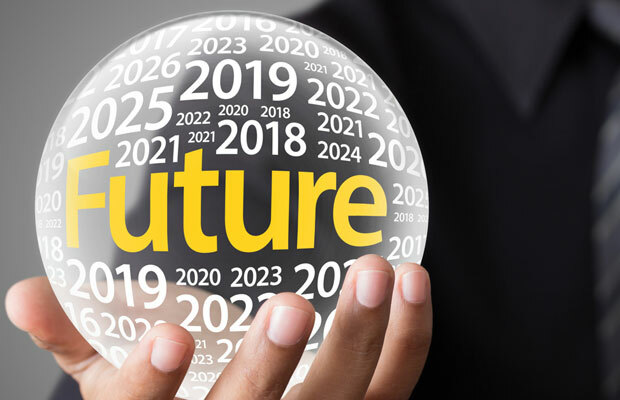 Yes, the future is coming faster than we think. I’ll close with my product of the week: the Jaguar iPace. I just placed an order for my wife, and I haven’t seen her so excited about a car since we got the Jaguar F-Type. As technology companies mature, they tend to think more strategically (Intel is the only firm seemingly moving backward at the moment in this regard), and they increasingly focus on incubators to ensure future customers. An incubator is a means of funding startup companies tied to your technology in the hope they become large companies in the future. Cisco has a powerful incubatortied back to its Innovation Centers, and it has been using the Olympics as a showcase, focusing on companies in emerging markets. Dell has a number of efforts. The most interesting — particularly given that this is Women’s History Month, is tied to its Entrepreneur in Residence, and it’s focused heavily on female-led startups. Given the institutionalized abuse of women highlighted in the book Brotopia, having this kind of focus on businesses run by women is incredibly important. Nvidia’s effort has not focused on emerging markets for women, but it has not excluded them. Two of the more interesting presentations at the event came from firms led by women (only one won, but I’m hopping the other gets special consideration at the final event). Nvidia’s Inception focuses mostly on truly innovative efforts that utilize Nvidia technology, and given that Nvidia is currently the leading component vendor in autonomous cars and artificial intelligence, most of the firms were focused on one or both of those areas, or on a related area like robotics. To be eligible, the firms had to have less than US$5M in funding (awards in this competition range from $125K to $375K historically). Some were very small, but every one of them showed something amazing. The GTC event was the semi-final round. A pool of 12 companies was cut down to six. With one exception, I agreed with the choices — but one firm was far beyond the others. I think the winner likely could have been named at the semi-finals. Let’s see if I guess right. Following are my favorite firms. Morpheus Labs was the first of two female-led firms to present. It showcased an automated teaching program for autonomous cars that simulated humans. The issue right now with autonomous cars is training. Most platforms are being trained on real roads, which is both time-consuming and, at least initially, won’t capture the massive amount of variability we humans bring to the table. This likely is both a transitory and important problem. It’s transitory, because when humans no longer drive (estimated in 2035-2050) much of this problem will self-correct. It’s important, because if the cars plow over a lot of humans ahead of that window, we’ll likely push autonomous cars back by up to 30 years. So, Morpheus Labs’ efforts could be critical to ensuring the rapid adoption of autonomous cars and avoiding any interim large-scale accidents. The technology isn’t applicable to cars alone, though. It could be applied to rolling drones, autonomous robotics, and even robotic defense systems, so there is a substantial upside once the platform matures. This firm didn’t win, but my hope is that it will get a special mention, given how closely tied it is to Nvidia’s autonomous car agenda. This firm could make history — an important designation, given that this is Women’s History Month. Walking drones like the ones Boston Dynamics makes currently cost upwards of $150K, limiting dramatically their use both in final form and as learning/test beds. This is because the hardware requirements have been both extremely complex and costly. Ghost Robotics has created a platform that costs around one-tenth that amount (and its cost likely could be further reduced), providing capability in a smaller offering that would be far closer to something that could be sold in volume. Its four-legged robot can handle uneven surfaces, can climb steep inclines, can deal with shifting surface material like sand or snow. Ghost Robotics even demonstrated that with minor modifications, its drone could climb a chain link fence better than my dog does. While its initial robots are relatively small — more like dogs than the small horse-like things Boston Dynamics creates — they should scale up nicely and still be far cheaper because they are far less complex. Other advantages would be higher reliability (due to the reduced complexity) and greater intelligence (it uses Nvidia’s platform heavily). Screw the Sony Aibo. This would make a far more interesting robotic dog to terrorize your cats. The presentation by the other female-run company in the semi-finals, Crowd AI, was no less amazing. You know that GPS system you have, and how it almost never seems to know about the new roads in your area? That is because most mapping requires that someone drive the roads, and there really aren’t enough folks doing that. This is the only technology I’ve seen that could approach real-time updating of maps on a city or even county scale. Think about how incredibly useful that would be for first responders. They could route around flooded roads, downed trees and accidents in the aftermath of a disaster, potentially saving lives that otherwise would be lost. AiFi scales to shopping center levels and beyond. It does what Amazon Go does, but it isn’t tied to a retailer. It could be the answer for retailers hoping to compete with, rather than be killed by, Amazon. By the way, I recently found that if you find a product on Amazon but order from the supplier’s website instead, you may get a better price and it could arrive up to several weeks sooner. Try it yourself. Every company in the medical section of the competition was amazing, but even in that stellar group, one stood out. Subtle Medical used AI on imaging systems like MRI to reduce substantially the time the imaging took and, for some tests, to reduce substantially the amount of radiation needed. This technology could have massive cost reduction and health benefits. Parabricks used GPUs for high-speed genomic analysis, providing a 48x speed increase, 75 percent cost reduction, and 190x price performance advantage over prior methods. Genomics is used largely to determine genetic issues that lead to diseases that are tied to heredity, potentially identifying illnesses before you even know you have them. Phenomic AI uses AI to accelerate drug discovery, particularly for unique illnesses. This could result in a massive increase in both drug discovery and drug customization, providing far more effective treatments and far fewer side effects. This also could help with pain reduction, providing a path to far-lower effective doses, potentially reducing the risk of addiction. As amazing as all of those were, one stood out from the others. Think about the potential of a direct human-machine interface. That’s what Bio-Augmentation Systems showcased — the ability to tap into the body’s communication network directly. This company’s initial focus has been on prosthetics. It estimates that its technology not only would increase the lifelike capabilities of prosthetics, but also lower the price to a fraction of what they now cost. To give you an idea of the potential cost reduction, a somewhat lifelike prosthetic currently costs upwards of $50K. Bio-Augmentation Systems thinks it will be able to create a far more realistic one, at volume, for well under $5K initially, with another nearly fivefold reduction in price possible in the long term. Once you could tie into the body’s network, you could create mental interfaces to machines like fighter jets, exoskeletons, remote robots — and even potentially operate body parts remotely (like physical therapy for coma victims, or long-distance space travelers held in partial stasis). This truly was science fiction stuff becoming real, and the short-term benefits to disabled veterans alone would be massive. For instance, body-powered prosthetics could make them better fighters than their uninjured peers, opening up the potential for superhumans and a clear pathway to the singularity. If you take the big picture of everything here, you have human modeling, human/machine electronic interfaces, advanced affordable robotics, instant geomapping, and granular customer tracking. Put together, we are almost living in the movie Minority Report, and only missing the future casting part (but AI may be able to do that too). This is only the tip of the iceberg with regard to what is coming, but it promises massive reductions in medical costs, massive increases in medical effectiveness, massive improvements in autonomous driving and in-store experiences, and the potential for superhumans. I don’t think we are remotely ready. If you make it to GTC, look me up. I’ll be he old guy wandering around in a smiling daze, wondering how I’m going to convince my wife to buy this stuff. I am not a fan of the Tesla X, even though I considered buying one, for three reasons: The fully loaded version costs upwards of $140K; the thing is huge and incredibly hard to park; and those damn gull wing doors are always breaking down (they do look cool, though). Well, ever since Dell sent me to the iPace preview (there was a really cool virtual reality walkthrough of the car), I’ve wanted one. Its base price is below the cheapest Tesla X and it is much faster. Sadly, I already have a new car, but it is time for my wife to replace theSupercharged Infinity FX-35 she drives to embarrass Porsche Cayenne owners. She is a designer at heart and far less interested in performance — though she really came to love that supercharger. She is more interested in how the car looks and whether it will carry the dogs. Well, the final version of the car launched last week, and now she is more excited about the car than I am. We are waiting for a slot but have picked a configuration we like (a ton cheaper than $140K) and should have the car before year end. This is one of the first electric cars with a truly rethought design. What I mean is that most electric cars look pretty much the same as gas-powered cars. However, electric cars don’t have gas engines — they have one or more vastly more compact electric motors. They don’t have gas tanks — they have battery banks. They increasingly are all-wheel-drive, which is even different from four-wheel drive. Gas cars have evolved around their engines, but the vastly more flexible electric designs could look very different. 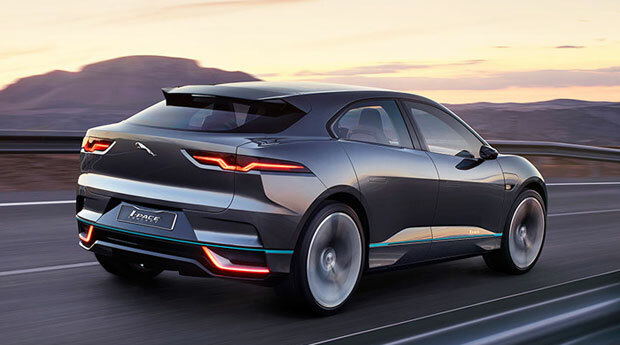 The iPace is cab forward, potentially making it far easier to steer and park. It is lower, making it more aerodynamic and providing greater range. It is one of the most attractive cars I’ve seen, and it is almost identical to the show car I saw in LA (that is one of the reasons we bought the first edition Infinity FX — it looked just like the amazing show car). The only downside was that the car didn’t come in purple, my wife’s favorite color. Thank heaven the blue is stunning. It also has a host of advanced electronics, like a heads-up display, an Amazon Alexa interface, four-zone climate control, heated everything for cold weather, and a host of electronic driver’s aids (though it’s not self-driving). It even has a key you wear on your wrist. I expect we won’t have the car until October or November, but because my wife is more excited about this new car than I am — and I’m really excited — the new Jaguar iPace is my product of the week. Next Are Smart TV Designs Taking Home Security for Granted?